The Tanoshiboy Chronicles: Design & Illustration Blog: The Monster that "ruined" Arizona. The Monster that "ruined" Arizona. Well, there's no real story behind this sketch. 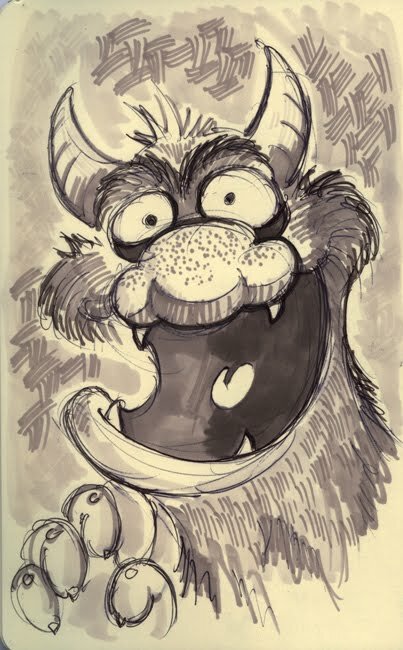 I was watching the really awesome Muppet Bohemian Rhapsody video and I got inspired to do up a little monster. So, please enjoy.